There are various studies that have confirmed that dieting is not actually the right way of losing weight. Many findings point at dieting as not being effective and may also lead to weight gain long after losing it. In fact, they claim that instead of improving one’s health, it makes things even worse. How then can one eat to lose weight? This article highlights some of the reasons why most people who focus on dieting end up failing in their endeavours. Here, the issue is not actually the determination but neuro science. One of the most effective tools employed by the brain to make the body remain within a particular range of weight (set point) is metabolic suppression. Thus, when the weight of a dieter goes down below the set point, his /her body tends to utilize fewer calories as well as release a greater number of hormones that trigger hunger and eventually resort to eating more. Whether your healthcare provider agrees or not, the weight regulation system of the brain believes that your set point is your most ideal body weight. In this case, if you start dieting at 120 lbs and eventually reduce to 80 lbs, the brain will definitely proclaim this as starvation, and try to make every effort to win back the weight. A similar reaction also happens to an individual whose initial weight of 300 pounds is cut down to 200 through dieting. How then can dieting lead to weight gain? Below are reasons behind these revelations. There are fears that girls who tend to diet during their early stages of adolescence will become overweight in the coming 4 years. Findings in another similar study indicate that frequently dieting adolescent girls are likely to binge-eat two years down the drain as compared to those who eat normally. Most of what we know concerning weight regulation is based on rodent studies. It is believed that mice and rats bear the same eating habits as human beings. As such, these creatures find pleasure in an array of foods just like we do. Whenever there is plenty of tasty food, rodents tend to put on varied amounts of weight and it is good to note that the genes in human that influence weight do the same in mice and rodents. When rodents feel stressed up, they tend to consume more fatty and sweet foods. Just like humans, both wild and laboratory rodents have grown fatter in the recent times. 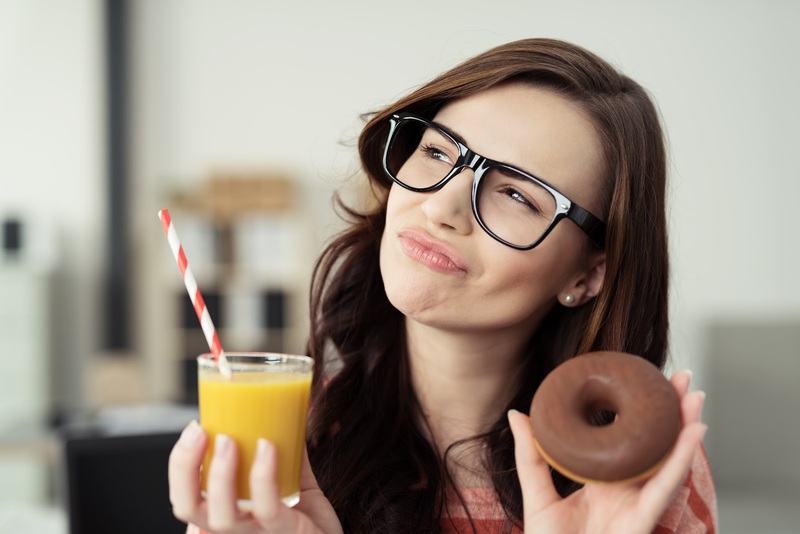 During dieting, one is restricted to the rules other than controlled eating. Most people who indulge in this kind of eating are more likely to fall prey to external signs deciding for them what to consume. In the contemporary setting, most of these signs are a brainchild of marketers to lure us into eating more. This cues include supersizing, advertising and everything attracts your appetite. Studies have also pointed out that the likelihood of people who diet for long to retreat into emotional eating is very high. Most dieters having a balanced diet plan who choose to disregard their hunger drain their self-discipline and therefore over-indulge for various reasons, eventually resulting in weight gain. It is quite unfortunate that even those who know how difficult it is to achieve long-term weight loss results more often than not try to find solace in dieting due to their obesity health concerns such as diabetes and heart disease. However, the way we view obesity as deadly is misplaced. Lack of exercise, low income, smoking, high blood pressure and loneliness are equally predictors of premature deaths compared to obesity. As it were dopamine in conjunction with other neurotransmitters found in the brain that control how animals react to rewards, which in turn enhances their inspiration to search for food and consume. Just like it is typical for animals to binge after staying for long without food, dieting individuals will resort to this kind of practice after coming out of their diet, hence gain more weight. In weight loss, the trick is to choose a diet plan you can stick to. However, most people who opt for dieting find it hard to stick to their diet programs after some time. As a result they turn back and end up consuming what was initially their favorite food. They consume great amounts of unhealthy foods which make them regain the weight they had initially lost. The best way to lose weight is through exercising and focusing on mindful dieting. There are various supplements for weight loss out there which have been known to produce excellent results in weight loss. However, it is good to be cautious when buying these supplements as all may not work better for you. Always discuss your weight loss plan with your doctor for better results! Daisy Grace works as a content coordinator for Global Internet Magazine. She specializes in women’s health and also explores topics related to general health and beauty. Daisy loves studying the latest trends in cosmetics and skin care, but her experience extends further than that. She writes on all aspects of women’s health and beauty skin care and also various product reviews.